This Script helping you to manage your characters. 01.Hide/Unhide entity by one click. 05.Easy rename all relate entity. 06.Directly clone(and rename) character one scene. 07.Destroy all relate entity by one click. 09.No problem whit nodes rename. 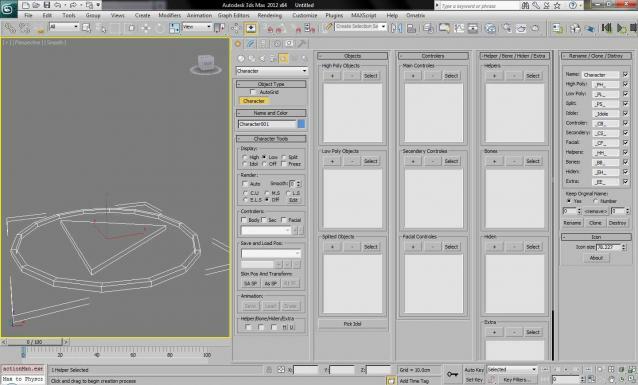 This is another tool development of mine for 3ds Max. This geometry plugin allows users to quickly create and fine tool the looks of an eye for any character. The idea behind this tool was to make a way for users to quickly populate eyes with the ease to adjust the sizing of the iris and pupil. With the benefit of this plugin users can freely animate several properties. As an example the pupil sizing can be animated to represent dilation. I've just put online and avaible for free download a series of useful scripts I wrote. ImagineCGTools v 2.7.2 are a group of useful 3DSMax and VRay plugins that make your life easier: in fact most of the implemented operations are some repetitive actions but often required to obtain a good final result. 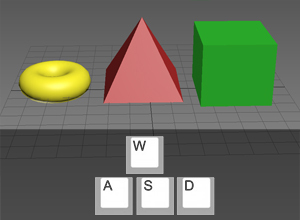 A little free plug-in which allows you to move selected objects with A,W,S,D keys. If it will be useful for someone, I will improve it. A modern version of MXSCOM, to allow for editing & execution of 3ds Max MaxScript and Python files from external code editors. Check a new tool developed to improve 3ds Max's regular sphere primitive. This new primitive allows users to control how many columns and rows of verts there are. Holding Alt forces the sphere to be created at [0,0,0]. It allows users to independently adjust the radius on the X,Y,Z. It also gives users to option to adjust whether it's capped or not when turned into a hemisphere. UI Toolkit, is a serie of new 3dsmax scripted plugins, to quickly create modern & sci fi UI and motion graphics directly in 3dsmax. With a lot of procedural parameters and ways to animate and link them together. More tools to come, you can email us to suggest some new features/objects. WeightPro is a 3ds Max c++ plugin for automatic, fast and smooth Skin modifier weighting, no matter if the mesh has good or messy topology. It voxelizes the mesh with the skeleton using GPU to calculate the shortest distances between bones and vertices. It allows you to make adjustments during posing in realtime. Available for 3ds Max versions: 2013, 2014, 2015, 2016.